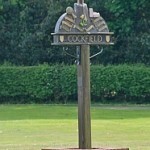 Cockfield Cinema brings you a film in the Village Hall on the 4th Friday of every month unless otherwise advertised. The doors open at 7.00 pm and the show will start at 7.30 pm. There will be an interval during which ice creams and other refreshments will be available. We plan to select films which will entertain all sections of the community and our emphasis will be on fun for all the family. Tickets on the door will be £4.50 for adults and £3.00 for children and young people under 17.